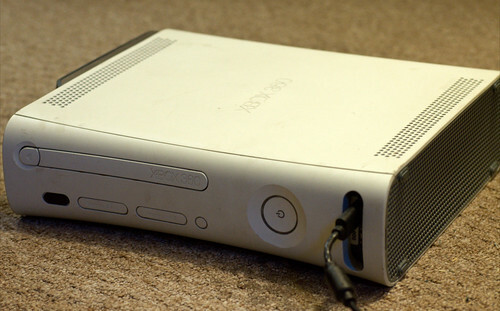 Refurbished models are items sold by a company or a store in which they came into possession of an item with some flaw. The business then repaired that flaw, fixed the item up so that it’s close to new, and then sells it at a discount – often a steep discount. Refurbished models can save you a lot of money with minimal risk, but you have to be a bit careful when doing it. If you’re shopping around for an item and come across a refurbished model at a nice discount, consider these questions. First, is the item being sold by a retailer that sells new products of the same type? If they’re not, I’d avoid this. Don’t buy a refurbished Sony Blu-Ray player from a store that doesn’t sell other Sonys. That’s a flashing red light that something questionable is going on. Second, is there a return policy for this item? If you take it home and discover an issue with the item, can you return it to the store within a reasonable length of time (30 days or so) for a refund? “No questions asked” return policies are the best. I consider a return policy on a refurbished item to be a requirement. Third, is there a warranty on this refurbished unit? There should be a warranty attached to it. Sometimes, this warranty is equal to that of a brand new item, which is a very good sign. If you don’t see a warranty, back away. Fourth, can you see any obvious defects in usage at the store? Can you try the item out before you buy it? The success of this really depends on the item. Not being allowed to do this isn’t a deal-breaker, but being allowed to do it is a strong positive. Fifth, is this a certified refurbished model? Some companies offer a certification program for refurbished models which often includes a full warranty. While this isn’t a deal-breaker, it is certainly a big positive. Finally, can you get an extended warranty for the item? This doesn’t mean you take the extended warranty, but if the business won’t offer one, that’s a sign that they don’t believe in the product they’re selling you. I use these items as a checklist whenever I’m considering a refurbished model. If it passes through these questions, then I’ll consider it a bargain and pick it up. However, if these questions start throwing up some red lights, I’ll pass. Don’t overlook refurbished models in your shopping. They can often provide very nice discount opportunities.